(MindBodyGreen) I call myself the "last chance" doctor because many of my patients are nearly out of hope by the time they come to my office. Merris, who described herself as a prisoner in her own home, was one of them. Merris has celiac disease, an autoimmune condition that affects the intestines. When people with celiac disease eat any food containing gluten, their immune system attacks the villi, tiny structures in the intestines. The result: diarrhea, constipation, abdominal pain, nausea, and absolute misery. The standard treatment for the disease is a strict avoidance of gluten. Merris had tried that for a year and a half, but it didn't work. Her doctor suspected that she had refractory celiac disease — a severe and potentially fatal condition that's treated with powerful immune-suppressing steroids and other dangerous drugs. Merris wanted a better solution. And when she saw me on TV one day talking about treating inflammation with food, she decided to give me a chance. After she'd followed my protocol for only four days, Merris's severe diarrhea completely stopped. Within a month, her pain and cramps vanished. She no longer needed any drugs except her thyroid medication. After being unable to sleep for more than an hour or two at a stretch, she could sleep soundly through the night. At 66, Merris now says, "I feel like a teenager." And she's radiantly healthy, as you can see in this video. What's the moral of Merris's story? That when it comes to autoimmune disease, the wrong foods can hurt or even kill you — and the right foods can heal you. Before I talk about these foods, here's a quick look at what autoimmune disorders are. Autoimmune problems arise when your immune system mistakenly identifies certain tissues in your body as invaders rather than "self." When this happens, the immune system releases chemicals that cause a cascade of destructive inflammation. There are more than 80 types of autoimmune conditions, and they strike in different ways. In multiple sclerosis, for instance, the central nervous system comes under attack. In rheumatoid arthritis, it's the joints. In Crohn's disease and celiac disease, it's the gastrointestinal tract. Autoimmune disorders tend to cluster in families, and they tend to affect women more often than men. Sometimes, symptoms of autoimmune disease are mild. But often, as in Merris's case, they're crippling or even potentially fatal. We can't cure autoimmune diseases. However, we can often send them into remission. And that's where diet comes in. Traditional doctors do realize that food plays a role in certain autoimmune conditions. For instance, they understand the damaging effects of gluten in celiac disease. But here's something that few of them know: Diet plays a big part in worsening or treating virtually any autoimmune condition. Why? Because when you eat pro-inflammatory foods (for instance, sugar and flour), you exacerbate inflammation, the core feature of all autoimmune disorders. Unhealthy foods can also worsen intestinal permeability ("leaky" gut), throw your hormones out of balance, and lead to severe nutritional deficiencies — all of which can worsen the symptoms of an autoimmune disease. Conversely, by eating healing foods, you can reduce inflammation, balance your hormones, foster healthy intestinal flora that help heal a leaky gut, and correct severe nutritional deficiencies. When you do this, you can often drive an autoimmune disease into remission. So my autoimmune protocol doesn't start with dangerous pills or injections. Instead, it starts in a patient's pantry. I also have them eat sauerkraut and kimchi and take probiotics to optimize their gut flora. And daily bone broth is a must, because of its healing collagen, gelatin, and other nutrients. In addition, because many people with autoimmune problems have nutritional deficiencies, I prescribe a good basic nutritional supplement. I also have these patients take omega-3 fatty acids, selenium, and zinc, which can calm inflammation. And I encourage them to include anti-inflammatory herbs and spices like rosemary and curcumin in their cooking. This is the protocol that Merris used to get her symptoms under control. It's a basic, strict Paleo program. And often, it's enough. But sometimes, it isn't. Nightshade fruits and vegetables. These include tomatoes, peppers, eggplants, artichokes, blueberries, goji berries, and okra, as well as cayenne pepper and paprika. (Black pepper is fine.) Here's an interesting post about why these foods can be problematic. Eggs. While eggs are a superfood, a significant number of people react badly to them — especially to the whites. Here's a good article on this topic. Nuts and seeds. Many people are allergic to tree nuts. In addition, nuts and seeds are hard for some people to digest — and that can be a problem for people who have a damaged gut due to autoimmune issues. So it makes sense to find out if these foods are causing symptoms. FODMAPS. FODMAP stands for fermentable oligosaccharides, disaccharides, monosaccharides, and polyols. In plain English, FODMAPs are molecules that some people have trouble absorbing. When they aren't completely absorbed and digested, they can ferment in the gut, causing symptoms like abdominal pain, gas, diarrhea, and constipation. Here's a list of FODMAPS. Now, all of this sounds like a lot to give up—but it's only temporary. After several weeks, I gradually start reintroducing each restricted food. If a food causes problems, out it goes. If not, then it goes back on the good list. By the way, I also ask my patients to give up all "optional" medications. Many medications — for instance, NSAIDS — exacerbate gut problems. My autoimmune protocol is simple, straightforward, and easy to follow. Some patients do initially find it hard to give up grains, sugar, or dairy, but they quickly decide that it's a very small sacrifice when symptoms ranging from joint pain to rashes to diarrhea quickly lessen or even vanish. What's more, these patients enjoy benefits that go far beyond getting their autoimmune conditions under control. They lose weight. They often reverse metabolic syndrome. They feel younger and happier. They glow. And here's something else: This protocol is safe. Compare that to the steroids and other immune-suppressing drugs that are the traditional first-line treatment for autoimmune conditions. I understand that sometimes these drugs are necessary. But many of my patients don't need them at all — and many others are able to greatly reduce their dosages. So if you have an autoimmune problem, and your doctors tell you that the only treatment is medication, don't believe them. Instead, try healing your body the natural way: through food. There's no downside — and there's an excellent chance that, like Merris, you'll get your life back. 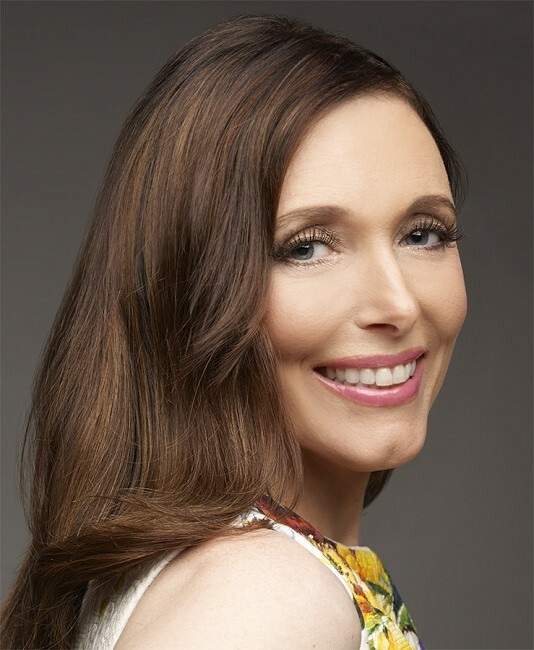 Dr. Kellyann Petrucci is a nutrition and lifestyle expert and author of five healthy-lifestyle books from John Wiley & Sons. A certified nutrition consultant and board-certified naturopathic physician who focuses on helping people launch their own transformations, she has 20-plus years of clinical experience. She is one of the few practitioners in the United States certified in biological medicine by the esteemed Paracelsus Klinik Lustmuhle in Switzerland. She appears regularly on national and local television, and conducts workshops and seminars to help people feel and look their best. She also authors the popular drkellyann.com, providing nutritional news, tips, and inspiration. She has two children and lives in Bucks County, Pennsylvania. Help support this site by making your Amazon purchases through the above affiliate links. Same great deals. NO COST to you. Thank you!